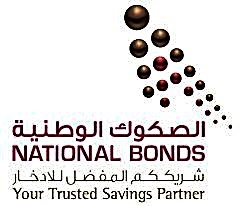 Dubai-based National Bonds Corporation has launched a takaful-based savings programme that provides takaful insurance cover as well as protection for jobs loss. The ‘Sanadi’ Programme provides coverage of up to 100 per cent of the monthly salary, as well as protection for job loss, loss of life, permanent disability, critical illness and terminal illness. In addition, the programme extends hospital cash benefits and cover for a second medical opinion. Protection for job loss covers up to six monthly salaries, while protection against death, permanent disability and terminal illnesses covers up to 60 monthly salaries. Coverage for critical illnesses is provided for up to seven medical conditions over a maximum period of 24 months, along with provision for a second medical opinion and hospital cash benefits. Furthermore, the Sanadi plan offers a chance to earn annual returns and win rewards on savings that can reach up to Dh1 million as part of the National Bonds rewards programme.